College Consensus has ranked Syracuse University 8th in its listing of the Top 25 Best Green Colleges in the United States. 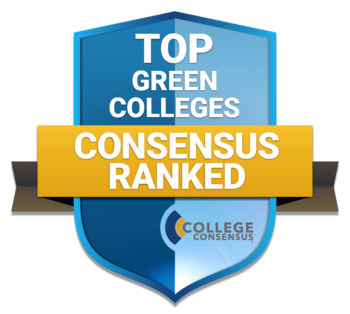 For the purpose of developing the Green Colleges list, College Consensus partnered with the Environmental Protection Agency’s Green Power Partnership to recognize higher education institutions that have committed to green energy. The University has gained recognition over the years as one of the biggest purchasers of green energy in New York state and the Northeast. Thirty-five percent of the energy used on campus is from renewable sources and in line with the University’s goal on campus to become climate neutral by 2040. In addition, sustainability has been integrated into the curriculum, with offerings of majors and minors in areas like energy, food studies and environmental science. Furthering research on campus, the Campus as a Lab for Sustainability (CALS) program offers $75,000 in funding for academic research, student projects and course development that can further engage the campus in addressing climate change and sustainable systems. To learn more about sustainability on campus, visit sustainability.syr.edu.